Tir. d. 2. april 2019, kl. 19-21. NASA recently announced the end of an era. After nine years of operation, NASA's Kepler spacecraft will be retired, but not without making an indelible imprint on humankind's understanding of the universe. Perhaps its greatest legacy is the knowledge that planets outnumber stars in the galaxy. With over 2,500 planet discoveries and another 2,000 awaiting confirmation, Kepler revealed a staggering diversity of worlds turning sci-fi fantasy into scientific reality. 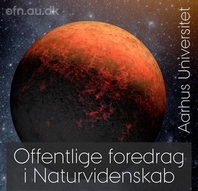 Foredraget streames live fra Aarhus Universitet og er led i serien Offentlige foredrag i Naturvidenskab som udbydes i samarbejde med værter i en række byer og Carlsbergfondet.